The Western Hockey League announced Wednesday that defenseman Ty Smith has been named the Western Conference Defenseman of the Year as well as a Western Conference First-Team All-Star. 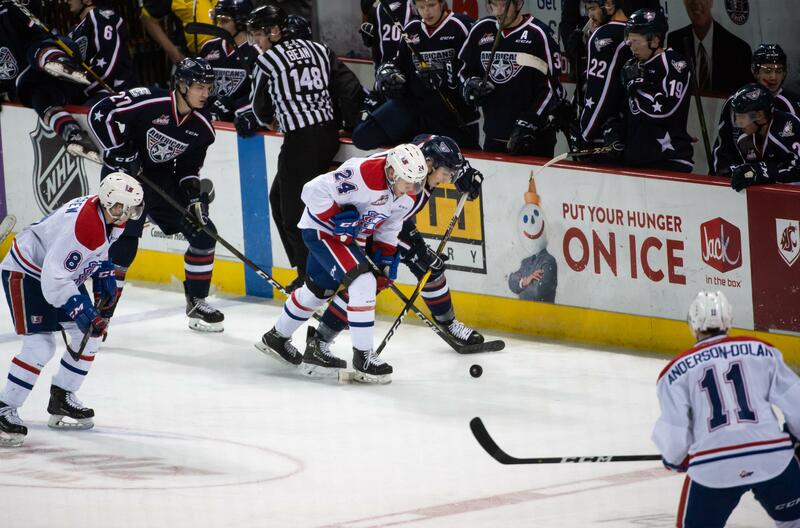 The league also revealed that Chiefs forward Riley Woods was named a Western Conference Second-Team All-Star. Smith, a 2018 first-round pick by the New Jersey Devils, scored 69 points in 57 games this season. Smith ranked first among defensemen in assists (62) and finished fourth in points. Smith is joined by Josh Brook of the Eastern Conference’s Moose Jaw Warriors as nominees for the Bill Hunter Trophy for WHL Defenseman of the Year. Woods set career highs in goals (29), assists (46) and points (75). He led the Chiefs in scoring and tied for the team lead with 11 power-play goals. Published: March 20, 2019, 6:39 p.m.